How can I improve the efficiency of my furnace? A furnace is the most common heating system in the U.S. and Canada. 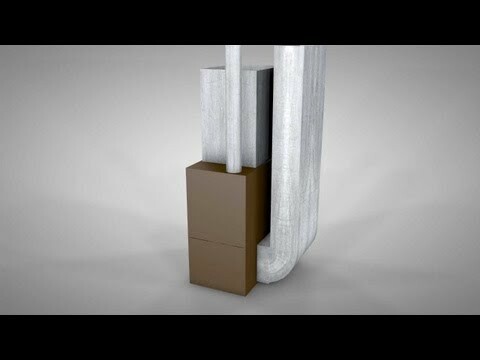 It heats the air and then distributes it through a duct system to warm homes. Remember to turn off power to your heating system before completing any kind of maintenance or repair on your furnace. You can turn off power to your furnace at the main electrical panel or by removing the fuse that controls the power to the unit. Some furnaces have a separate power panel – often at a different location than the main panel. Mark your calendar for battery replacement of carbon monoxide detectors and smoke detectors. Regularly test them. Replace the air filter at least twice annually or more often if you live in a dusty environment. A dirty air filter will cause your furnace's fan and motor to work harder, increasing energy usage. It will also restrict air flow, eventually leading to component failure and expensive repairs. Find an air filter for your furnace. Newly remodeled homes can produce a significant amount of dust and debris, it is a good idea to utilize a duct cleaning company after any renovation. Other reasons might include: evidence of an animal infestation, visible mold growth, or if someone in the home suffers from an unexplained allergy-related illness. If any of the vents or registers are blocked, you will not get proper airflow. 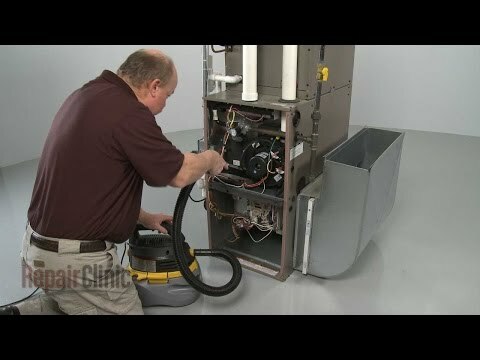 Annually, remove your furnace's access panels and use your vacuum and a long attachment to remove dust and debris that may have settled inside of and immediately surrounding the furnace. Make sure there is enough space around your furnace for routine maintenance or repair work that may need to be done. Don't store any flammable products such as gasoline, paint or paint thinners near the furnace. Do not hang laundry from your furnace equipment; this is not only a potential fire hazard but can prevent proper ventilation. Turn on your furnace and monitor your system's thermostat to ensure that it's working properly. Use expanding foam (available at home improvement stores) to seal holes around your home's exterior. Inspect ductwork for air leaks and seal with duct tape. Inspect and repair caulking and/or weather-stripping around windows. This depends entirely on usage and proper maintenance but most furnaces will last 12-15 years. Always have a clean air filter in place. Periodically inspect your home's registers to make sure rugs and furniture are not blocking them and restricting air flow. Inspect ductwork for air leaks and seal with aluminum foil duct tape. Set your thermostat to a few degrees below the temperature you normally have it set. You may not notice much of a change, but you'll save a lot on energy.